For 2018/19, introducing the new Elan Freeline 125cm skiboards step-in release bindings. These feature a tip-to-tail wood core, asymmetrical twin tips, front tip protectors, sintered ground graphite bases, parabolic sidecut and durable “snakeskin” top sheet. For 2018/19, introducing the new Elan Freeline 125cm skiboards step-in release bindings. These feature a tip-to-tail wood core, asymmetrical twin tips, front tip protectors, sintered ground graphite bases, parabolic sidecut and durable “snakeskin” top sheet. These skiboards handle like a dream, with fast turns you would expect from the deep parabolic sidecut. They provide quick stopping power and are fast, not to mention long lasting. 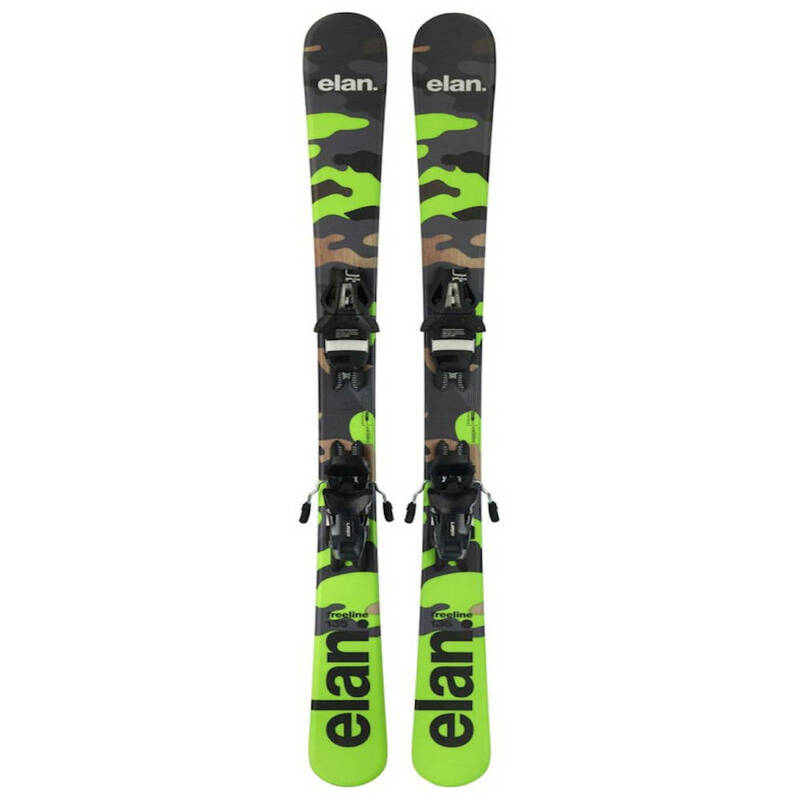 The Elan Freeline 125cm Skiboards Step-in Release Bindings come pre-mounted with the ESP10 release ski bindings and brakes. Elan has been committed to this sport from the beginning starting from their original rollerski. 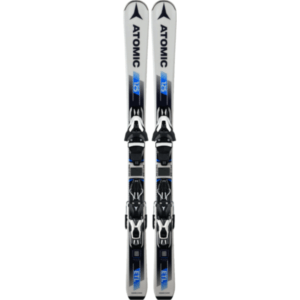 These are made for adults who want to smooth carving, have fun without the hassle of long skis, handle all conditions and explore the mountain. Recommended for hardpack, ice, moguls, glades and regular powder. We know you’ll love the ride especially for all mountain conditions. Recommended for: Intermediate to advanced skiers who want a short turn radius, quick fun on the slopes and a safer platform. 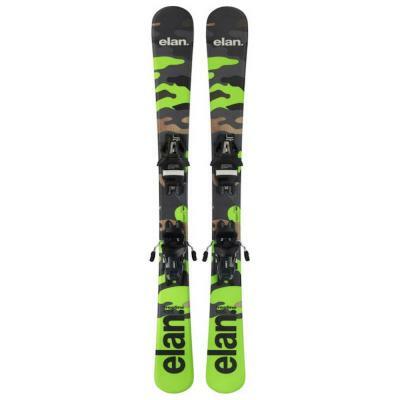 Bindings: The Elan Freeline 125cm Skiboards Step-in Release Bindings come pre-mounted Step-in Elan ESP10 Full diagonal release ski bindings – fits all ski boots. DIN range – 2.5-10. Adjusts easily by hand to fit a range of ski boots from 263-391mm sole lengths – approx. 4-13 US. Comes with integrated wide brakes. Note: Photo is of the 135, but 125 looks exactly the same. More information about bindings for skiboards. Full wrap stainless steel edges. The Elan Freeline line of skiboards are super easy to pickup and learn how to ski. I rented the 99s a couple years ago, and was getting up and down the mountain after a couple runs. I’ve played hockey most my life, and found these suited me quite well. I got the 125s this year. I wanted a little more length and the freedom that comes with owning. I love them. They are super easy to get around the mountain on, and faster than you might think. I have used longer full size skis and do not enjoy myself like I do in these. They look and feel great, and are super fun.